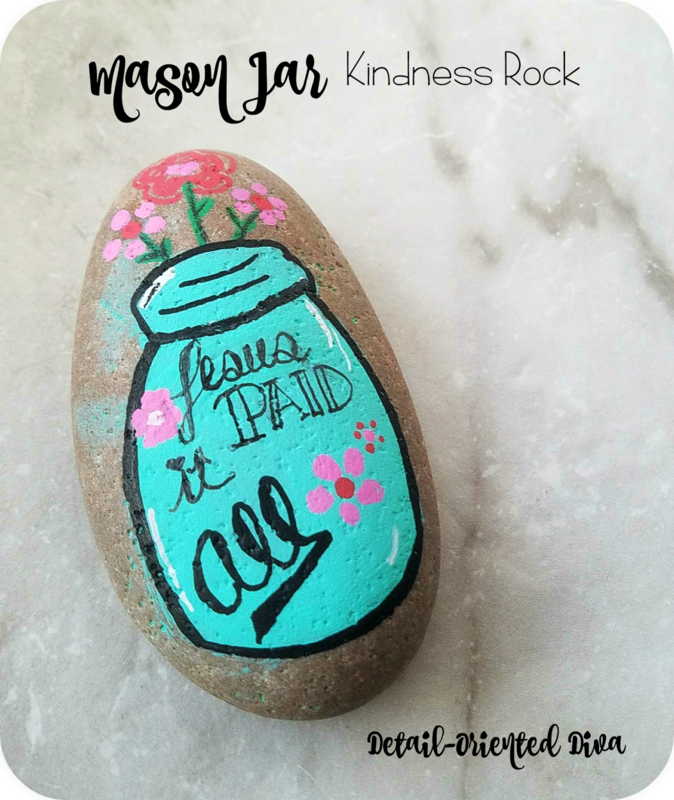 I really love mason jars and was just planning to make a rock that depicted a jar and some flowers. That plan changed once the gears in my head started spinning. The rest is history. This rock is very easy to do and the flowers are mostly just dots. The hardest part was the hand-lettering, which is improving the more and more I do it. If you are scared of hand-lettering, I highly recommend this book. I could easily put the handwriting of many doctors to shame before this book. I just decided to change out the BALL for ALL and write "Jesus Paid it All". I am very tempted to to put the entire chorus of that wonderful hymn on the back. This post Mason Jar Kindness Rock appeared first at Detail-Oriented Diva.